Commuting to and from Eagle Mountain is getting easier all the time! With easy access to Redwood Road and I-15, it's not as hard as you think. Due to the explosion in growth, UDOT (Utah Department of Transportation) is beginning to implement a long-term plan for future roads and highways. Please watch the video on this page for information. 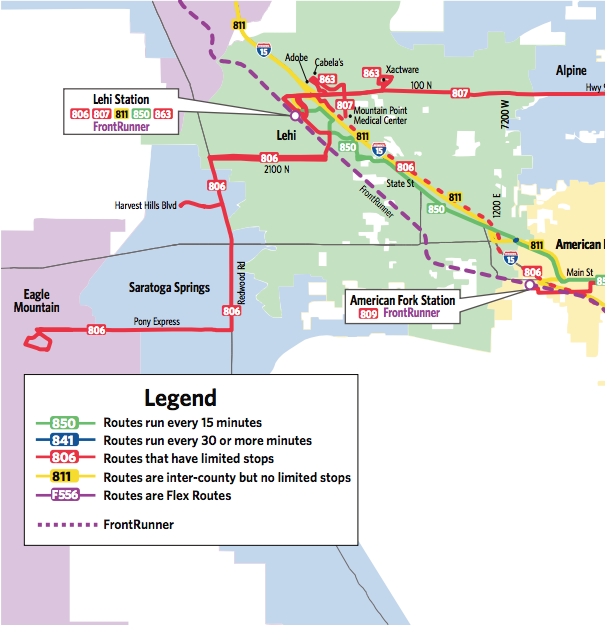 UTA currently has one route that provides public transportation to the Northern Section of Eagle Mountain. Bus route 806 has several stops and runs to Lehi Station, where commuters can access FrontRunner trains and a variety of other bus routes to get you where you need to go.